The Victor Fire Department Training Program is the culmination of years of innovation, building on the experiences and lessons learned of untold numbers of firefighters, both from Victor and other departments. The current training standard has been evolving since the year 2000 and continues to adapt to today's firefighting needs. Even as a volunteer department, our training program strives to meet the standards set forth by New York State for career fire department's in-service training. Firefighters participate in a module based training program that consists of weekly training that occurs every Monday night at 7:30pm. Firefighters are trained in a wide variety of topics ranging from fire suppression to auto extrication and other technical rescue skills. Firefighters are then challenged to implement and hone their skills in "full speed" scenario-based training events. Although firefighters are not required to attend every Monday night drill, they are encouraged to attend as many as possible to continue to develop their talents. Recruit firefighters participate in a 14 session Recruit Training Program. This program is intended to compliment, the New York State Firefighter I curriculum. Recruit firefighters can chose to be trained to the level of firefighting that they wish to achieve. These levels include exterior, interior, driver or fire police. The program generally takes 6 months to complete. During this time, firefighters are trained on each apparatus and able to respond to alarms on these trucks. 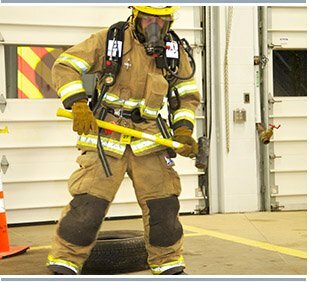 Firefighters who have already completed Firefighter I and have previous firefighting experience have the ability to "challenge out" on the skills required in this program. 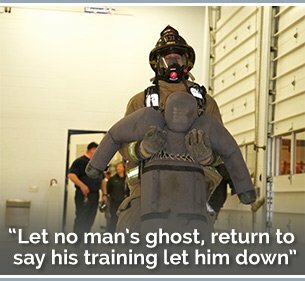 As a firefighter, your training is never complete. The fire service and the incidents we encounter are forever changing. The Victor Fire Department understands that training expands far beyond the 4 walls of the firehouse. Further education is made available through county and state training offered at the Ontario County Training Facility as well as the New York State Academy of Fire Science in Montour Falls. These educational experiences are often provided with no cost to the firefighter.